Welcome Home Blog: Good Things Come In Little Jars! You know I can honestly say that sometimes the best party appetizers come in a jar. That is, when they are from STAR Fine Foods and Cara Mia. I always put out a plate of my favorite nibbles whenever friends and family come! I am absolutely hooked on their little cocktail onions and my friends and family rave over the marinated mushrooms. The olives you see in the photo are stuffed with garlic and will be featured here tomorrow. Such a simple little plate of goodies that will go fast. Better stock up! They are perfect for your New Years Eve party! 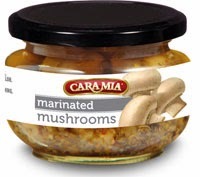 Cara Mia Mushrooms are available at select Savemart, Smart & Final, Schnucks, King Soopers, Walmart, Smith’s and Ingles stores and online at http://shop.starfinefoods.com/Marinated-Mushrooms/p/STAR-00016&c=Star@CaraMiaSpecialtyItems. 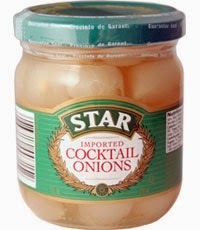 STAR cocktail onions are available at select Safeway, Bashas and Walmart stores and online at http://shop.starfinefoods.com/Imported-Cocktail-Onions/p/STAR-00715&c=Star@StarSpecialtyItems. STAR olives are available at select Safeway, Vons, King Soopers, Ralphs, Smiths, Savemart, Raley’s, Lucky, Food 4 Less, Smart & Final, Bashas, Walmart, Thom Thumb and Randall’s stores and online at http://shop.starfinefoods.com/STAR-Olives/c/Star@Olives.